Mouse sensitivity tied to frame rate, which may cause slow camera movement on certain configurations. Features an in-game benchmarking system. Available on either 3-4 DVDs or 1 Blu-ray disc (in rare cases). Some bonus content requires a WBPlay account. 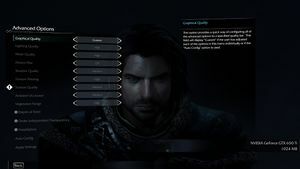 Japanese language support is only available in the Japanese version of Shadow of Mordor which only contains Japanese and English languages. Free. High-resolution texture pack. Available here. Available by registering for a WBPlay account. Sold on Steam as Upgrade to GOTY Edition. Go to <path-to-game>\game\interface\videos and rename the legal folder to something else. Move, delete or rename these files. Depending on which language was picked any other intro_language.vib file will have to be renamed instead. Depending on which language was picked any other intro_language.webm file will have to be renamed instead. Resolution options are percentages of the monitor's native resolution (i.e. 70% of 1080p would be 1344 x 756), rather than a standard selection. This results in non-standard resolution options if selecting anything other than 100% of native resolution. Disable the intro videos if the game exits during the intros. Use Flawless Widescreen or see Field of view (FOV). FXAA and resolution options with 150% and 200% scaling for SSAA. Game itself is capped at 100 FPS. See High frame rate. Benchmark has no frame rate cap. Download and install the latest version of Cheat Engine. 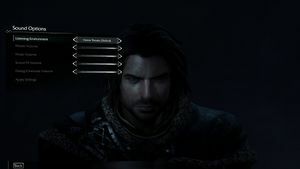 Download this file and put it somewhere convenient: ShadowOfMordorFOVFix.CT. 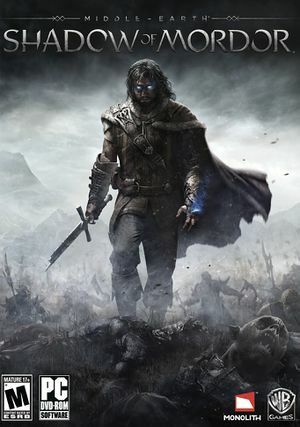 Run Middle-earth: Shadow of Mordor. Alt+Tab ↹, and run ShadowOfMordorFOVFix.CT, this should open an instance of Cheat Engine. In the top left of the Cheat Engine window, click the first button (computer with magnifier). At the bottom of the new window, press Process List. 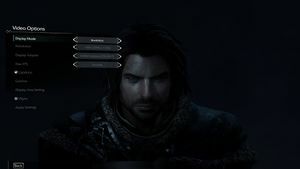 Scroll down, and select ShadowofMordor.exe, then press OK, then press Yes. Right click the "FOV Fix" entry at the bottom part of the Cheat Engine window, and select Set Hotkeys. Click Create Hotkey and press a button (for example F8), then press OK again. 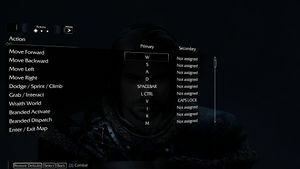 Open Shadow of Mordor and press the hotkey you selected. The game is capped at 100 FPS without this fix. On line 6, change Render.Setting.FrameRateLimit to "3.000000". Keys such as Tab ↹ and other special characters cannot be remapped. Mouse sensitivity tied to the frame rate. Named as Captions under Video Options. The Japan region version only includes Japanese and English languages. Go to <Steam-folder>\steamapps\common\Steamworks Shared\_CommonRedist\DirectX\Jun2010\ and run DXSETUP.exe, or download the DirectX End User Runtime. In the advanced video options, change lighting quality to medium or lower. In sound options, change Listening Environment to another setting, e.g TV. 4.1, 4.3 4.1 on OS X, 4.3 on Linux. SDL2 Only on OS X and Linux. AMD and Intel GPUs are not officially supported. ↑ Monolith-Forgey comments on We are game developers for Middle-earth: Shadow of Mordor. Ask us anything. This page was last edited on 18 April 2019, at 10:09.